Remember your collection of Choose Your Own Adventure books from when you were a kid? The excitement you felt when creating plot twists and experiences to craft your own epic story? Well, Reno Tahoe is kind of like that. If you want a laid-back morning grabbing coffee along the Truckee River and have a sudden urge to whitewater raft through downtown Reno, that’s totally doable! 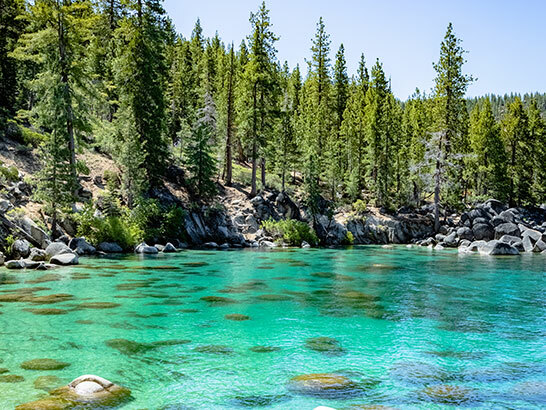 Want to cannonball off of a granite boulder into the clear waters of Lake Tahoe and then rub elbows with locals in a true Wild West mining town? Yep, you guessed it – we can make that happen. Follow Sam Graves, Joelle Friend, Renee Roaming, Tour de Lust, Amy Seder and Cheat Day Eats create their own adventures in Reno Tahoe. We’re sure it will inspire you to add some plot twists to your next getaway. You know that magical feeling when you discover a hidden gem? Something so unspoiled and unparalleled that you almost don't want to share it with anyone else? As Joelle Friend discovered, those gems are hiding all around Reno and Lake Tahoe, waiting to be uncovered by someone who can appreciate what they've found. Find secret coves where you can bask in the sun or make new friends on the streets of a historic (and possibly haunted!) mining town. Think you know Reno? Think again. Beyond the casinos, you're going to find a city full of history, culture, art and more. 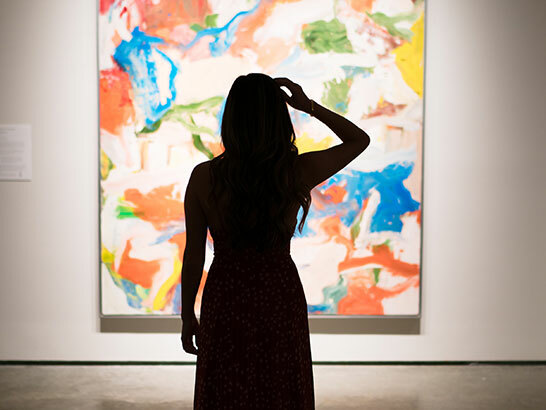 Explore the shores of Lake Tahoe or lose yourself among the world-class artwork adorning the walls at the Nevada Museum of Art. 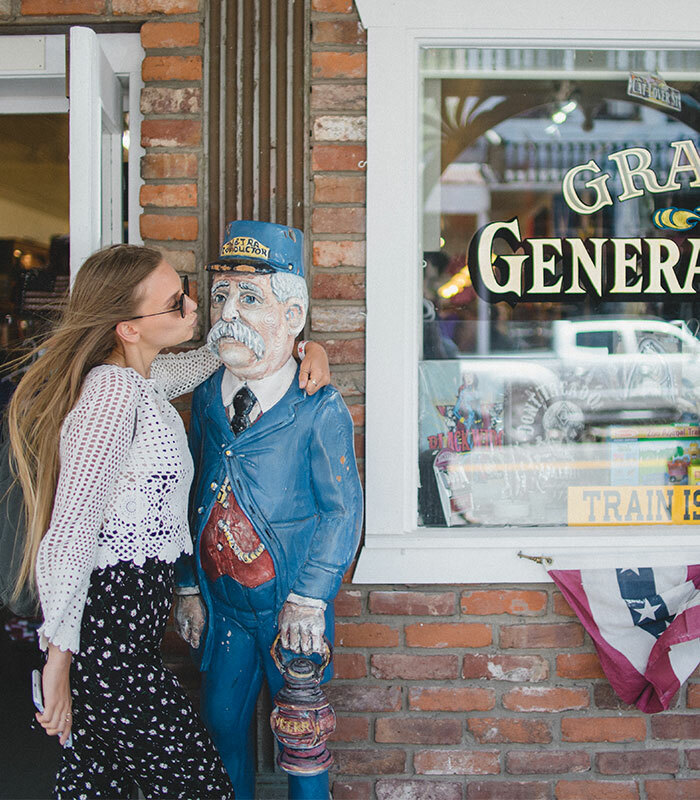 Hop in the car, on a bike or just put on your walking shoes to find Tour de Lust's must-see and most Instagrammable spots throughout Reno and Lake Tahoe. Sure, Tahoe is known for its legendary skiing. After all, the region boasts the highest concentration of ski resorts in North America. But enough about that, let's talk summertime in Reno Tahoe. As Amy Seder learned, sunny skies, blue water and events galore means the city comes to life in a whole new way when the days get longer and warmer. So slap on the sunscreen and pick a beach, trail, public art park or patio to settle into for the day. Diet? What diet? We like our burgers piled high and our donuts topped with the most cheat-worthy goodies. Whether you're a die-hard foodie or just love trying something new, you're going to be more than satisfied with the culinary treats awaiting you in Reno Tahoe. 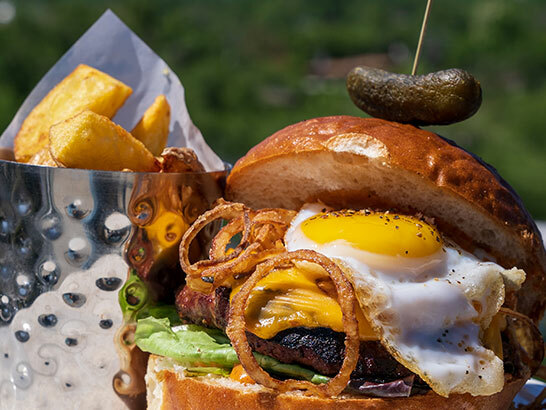 From gourmet restaurants to food trucks in the park, you can class it up or down, but either way, you won't leave hungry, especially if you follow in the tracks of Cheat Day Eats. And if you feel the need to burn off those calories, there are plenty of options for that too. If you're the definition of weekend warrior - fitting as many things as you can into a 72-hour window - then Renee Roaming's weekend itinerary is for you. 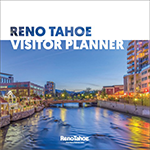 Food, outdoors, art... see it all in Reno Tahoe. Try your hand at stand-up paddleboarding on the largest alpine lake in North America and then get a taste of the art that fills the Black Rock Desert during Burning Man. But don't stop there. 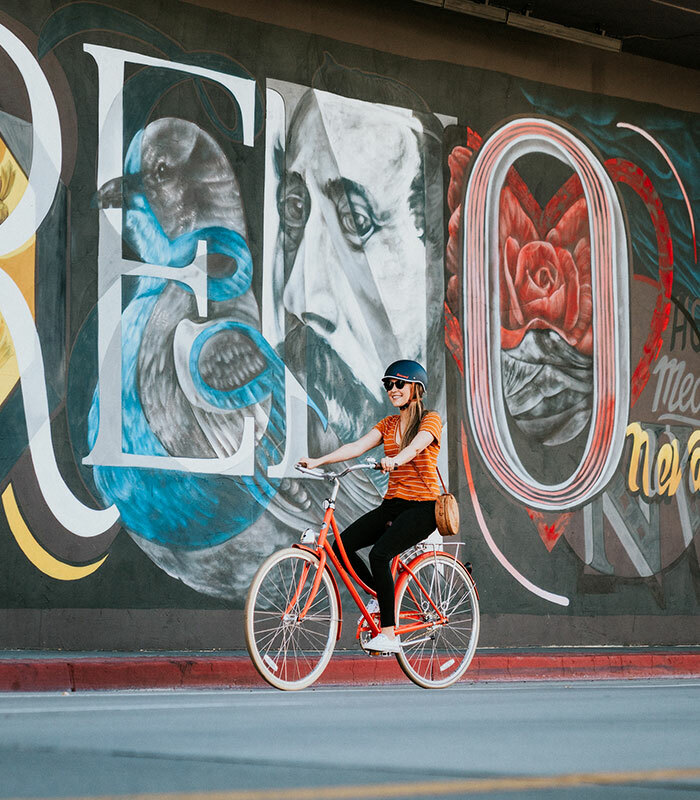 We know you're hungry (and thirsty) for more so raft down the Truckee River before you pedal through downtown, either on your own two wheels or on the always-fun Reno Brew Bike. They say a picture is worth a thousand words, but sometimes a photo doesn't fully capture the wonder of a place. We like think that as beautiful as Lake Tahoe is in pictures, it's even more breathtaking in person. The clear water and granite boulders, surrounded by pine trees and mountain peaks, are unforgettable. 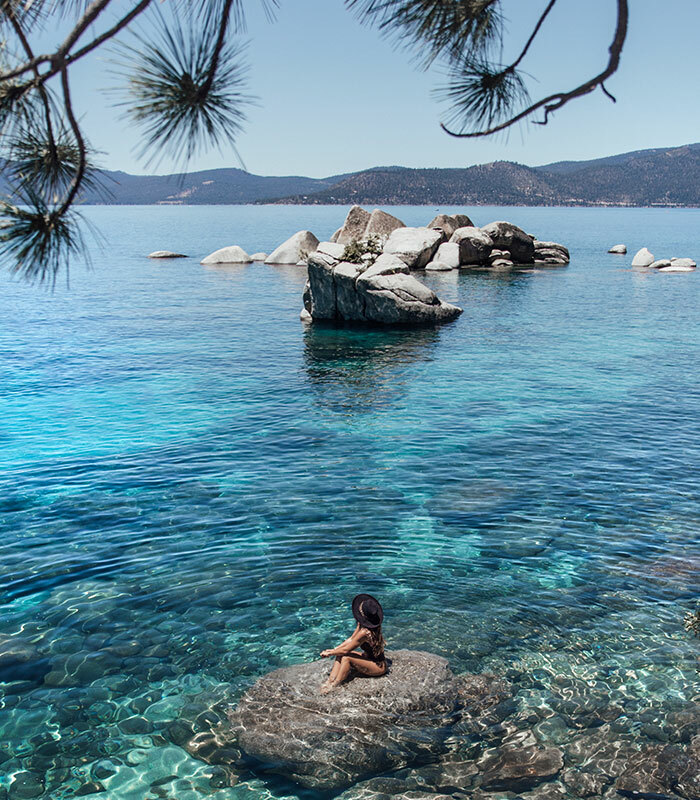 Get inspired by travel photographer Sam Graves, and dive in or find a trail to one of the many vistas along the shoreline to see the Jewel of the Sierra in all her glory.